This beach house is in Boothbay Harbor, Maine an is designed by Whitten Architects. Something so soothing about this renovated cottage that has me loving the sweetness of this home. First of all, what a lovely piece of property, which has gorgeous large mature trees, a sloping backyard which brings you to a beautiful view of the harbor. 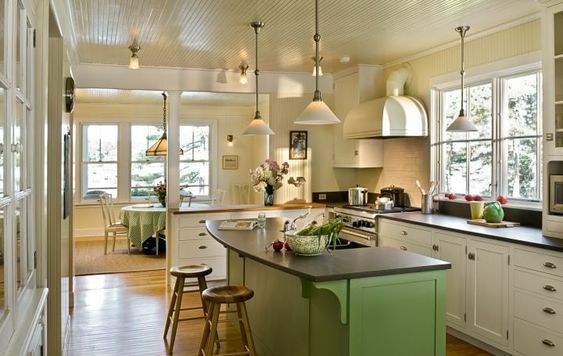 The shingle-style four bedroom cottage is perfectly suited for a family summer home. A wide covered porch wraps around the perimeter of the cottage, with plenty of seating and entertaining areas. 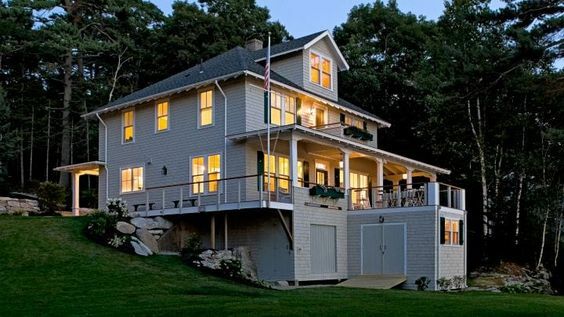 This house has me dreaming of a summer in Maine, simplicity at its finest!